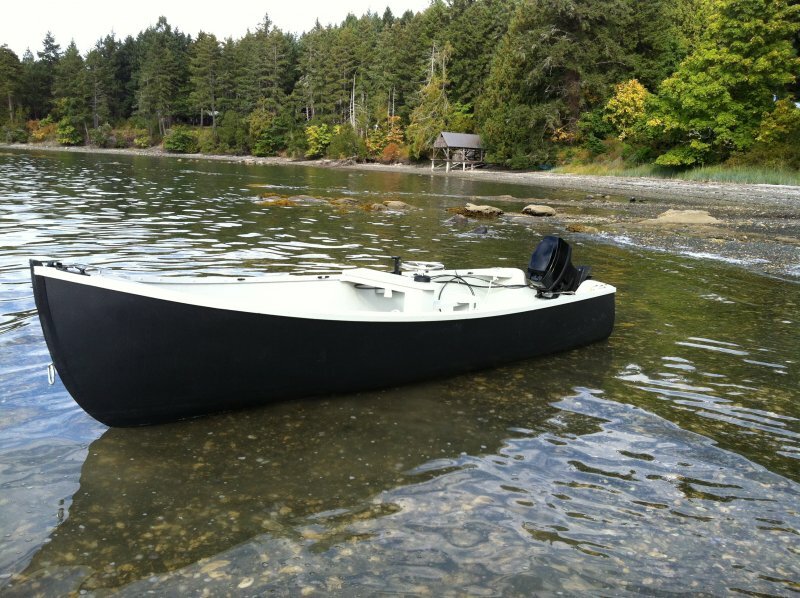 Stirling Fraser was astonished that his 15′6″ Jericho Bay Lobster Skiff floated when he launched it last July at Denman Island, British Columbia. 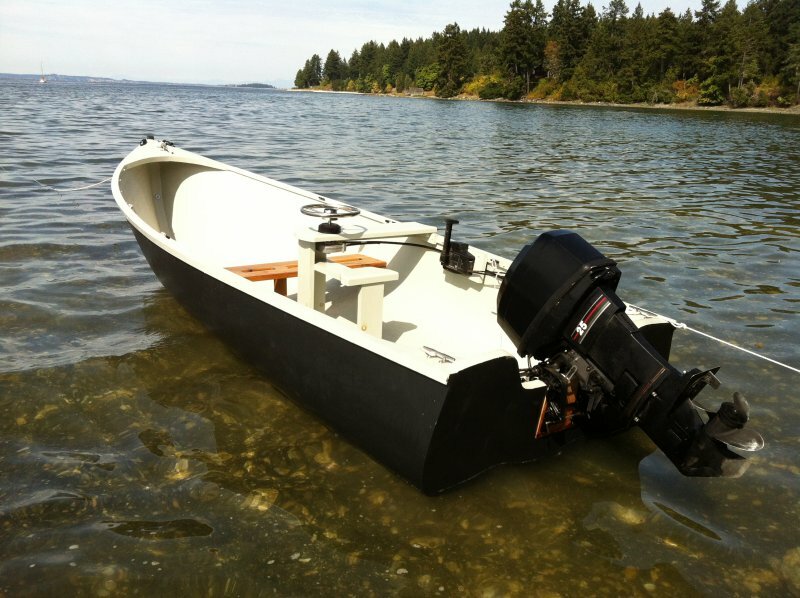 He described his unnamed outboard-powered skiff as a plain-Jane version of the design by Joel White. 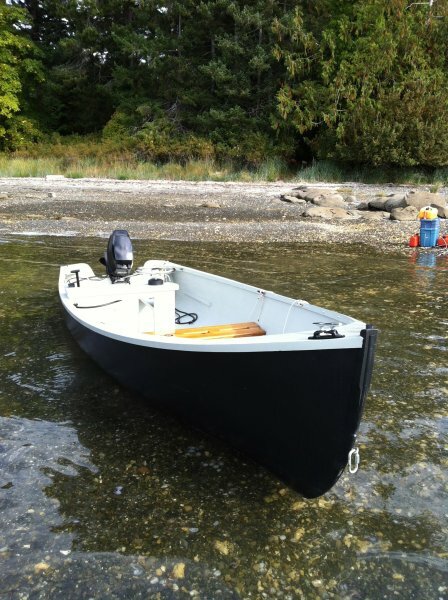 After buying plans for the boat at The WoodenBoat Store, he built the hull with strip-planked western red cedar with System Three epoxy and coated the interior with Kiwi Grip. 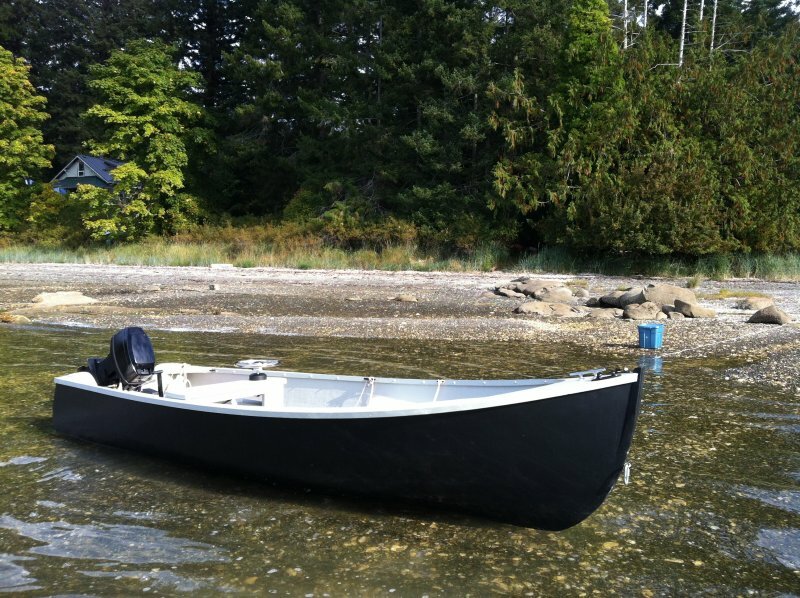 Stirling called the boat's performance when powered by an old 25-hp Mercury outboard “very sprightly.” He noted that it’s a great skiff for summer days and he is happy to share his mistakes at swfvi@yahoo.ca.